We take your measurements, we find a fitting solution and we adapt in case that your measurements change. We will develop your app for android and iOS. You are looking for an inventive internet agency for individual software or web software development? Here in Münster we will develop exactly the software you require whether it is for smartphones, Macs or classic computers. 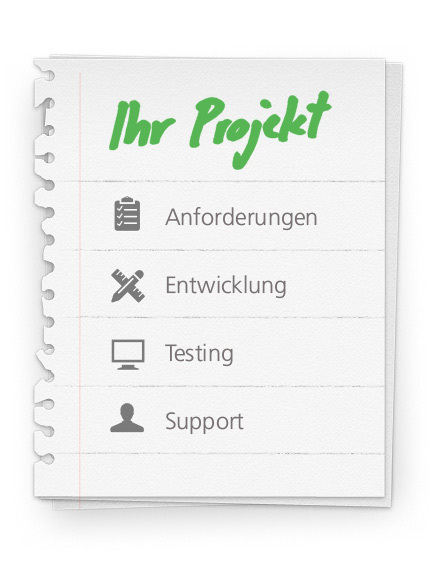 Mintellity software from Münster meets your requirements to 100%! Your business processes are tailored exactly to your requirements? In this case you should not resort to standard software that can never keep up with what individual software provides. We offer individual software development by providing software solutions that meet your personal requirements and wishes just like a tailor-made suit. Thus, you can save costs in the long term and organize your work processes more efficiently, more convenient and free of any stress factors. When having to connect external systems we develop an appropriate interface so that various systems can exchange data easily, which makes it superfluous to enter them manually. Whether it is about payment providers, merchandise management or accounting, we will connect your system. In the field of Web software development we offer the development and design of your online portal, your online shop or your homepage in an expressive and welcoming way. We are also experienced in the development of social community platforms and we know what to pay attention to when people want to communicate freely and informally in an attractive enviromnent. During the past years apps have become ever more important. Whether an advertisement, a tool, a game or a lifestyle app - nowadays, apps are indispensable in our daily life. When designing interesting, practical and amazing apps we always develop our full potential. 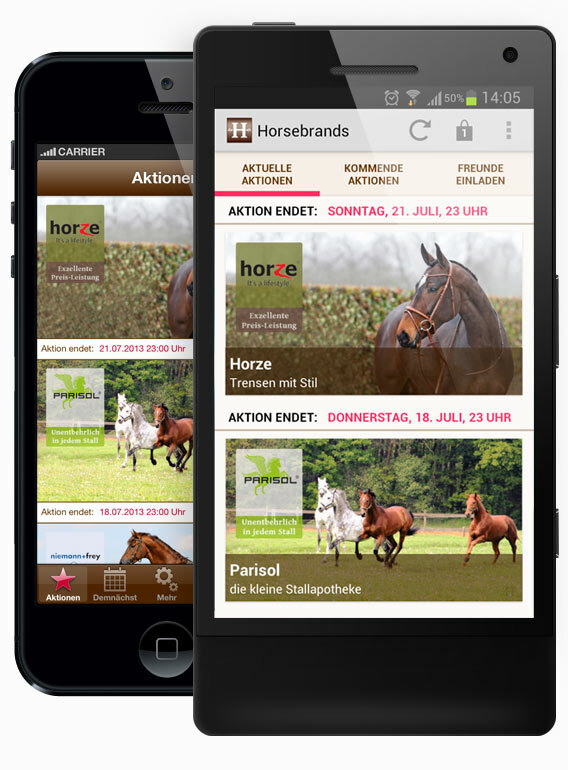 Whether you need an app for iOS or Android, you will find our professional corporation for app and software development here in Münster. Without a prior requirements analysis, the development of software cannot yield any satisfactory results. Therefore, we always investigate the intended field of application first and find out to what extend the specific software idea has already been realized. If you already have a rough idea of what you require we will get together and lend concrete shape to your individual idea. To run an own development department may consume a lot of capacities, not least because the development of software is not a constant or stable process. Within the framework of a project everybody works under intense pressure, but afterwards creative and competent ressources may lie fallow. You should better concentrate on your core business and, by means of outsourcing, hand over your software development to us as your internet agency - we will gladly take over this job for you. 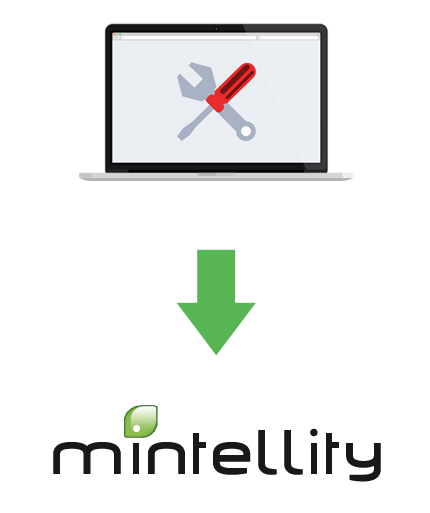 Even if your internal developers are utilized to capacity we will be at your side, since hectic situations like a relaunch or the Christmas season often cannot be managed by your internal developers alone. 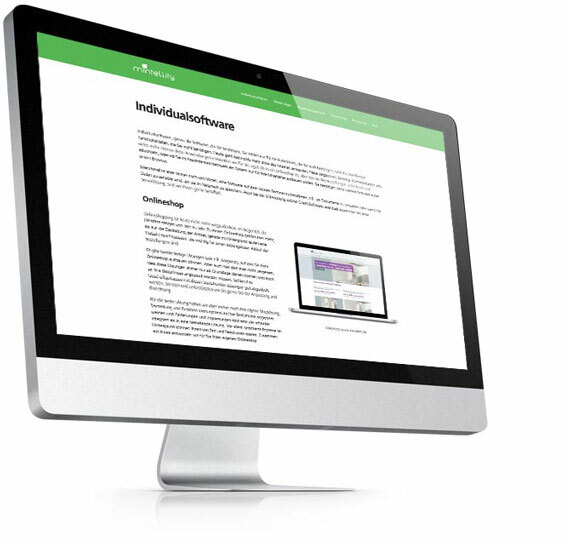 Mintellity stands for convincing and user-friendly software. If you are interested in professional and individual software development we are there for you at any time!